The first Grapefruit League game is less than 24 hours away. Thank goodness for that. As for the Yankees making further additions, it’s possible, but don’t expect anything big. “We’ve been offering (minor league contracts) out like Chiclets,” Brian Cashman told Joel Sherman. How exciting. Anyway, here are some notes. Yankees would’ve gone to $240M for Machado? The Yankees never did make Manny Machado a formal offer before he signed with the Padres, but, according to Jon Heyman, during their December meeting the Yankees indicated they were willing to offer him $220M to $240M. A lowball offer, clearly. They wanted Machado on their terms and at a discount or not at all. My guess is that $220M to $240M would’ve been spread across eight years rather than ten, and included opt-outs and all that good stuff. Bryce Harper signing a short-term contract never seemed all that likely and the Machado contract all but guarantees it won’t happen. I have to think Harper and Scott Boras are licked their chops in anticipation of negotiating with the desperate as hell Phillies. I know it’s not going to happen but dammit I can’t help but hold out hope the Yankees are laying in the weeds here ready to swoop in a la Mark Teixeira years ago. Would be cool. Oh well. Maybe the Yankees will sign a 26-year-old superstar next offseason. According to Andy Martino, the Yankees only “briefly” considered making a run at Mike Moustakas earlier this offseason. Moustakas returned to the Brewers on a one-year deal worth $10M guaranteed earlier this week. The Yankees had interest in Moustakas as a first baseman at the trade deadline last year, before he went to the Brewers and before they acquired Luke Voit. Can’t get mad about how that series of events turned out. Moustakas, 30, hit .251/.315/.459 (105 wRC+) with 28 home runs last season. He’s a lefty with a tendency to pull the ball in the air, so he would’ve fit nicely in Yankee Stadium. The Brewers are apparently going to play Moustakas at second base. The Yankees could’ve done that and shifted Gleyber Torres to short. Or they could’ve just put Moustakas at third base, moved Miguel Andujar to DH, and put Giancarlo Stanton in left field. Eh, whatever. You will see a pitch clock when the Yankees open their spring schedule tomorrow. Earlier this week commissioner Rob Manfred told Mike Fitzpatrick a 20-second pitch clock will be used during Cactus League and Grapefruit League games. No decision has been made about the regular season yet. Manfred and MLB want to give players and umpires a chance to get used to the pitch clock just case it is used during the regular season, so we’ll see it this spring. There will be warnings at first before ball-strike penalties take effect depending whether the pitcher or hitter is late. “We’re still hopeful that we’re going to make an agreement with (the MLBPA) on pace-of-play initiatives. I just think that whether it’s by agreement or otherwise, the only prudent course for us at this point is to be in a position to proceed if in fact we have an agreement or decide to do it,” said Manfred. Manfred can unilaterally implement a 20-second pitch clock this year and it sounds like he will do exactly that if MLB and the MLBPA are unable to agree to a new set of pace-of-play rules. I am pro-pitch clock. Let’s do this. You won’t even notice it’s there in a few weeks. As expected, MLB is cracking down on high-tech sign-stealing following incidents in the postseason last year, reports Tom Verducci. An Astros employee was caught recording the Indians dugout during the ALDS last year, though the employee claimed he was monitoring Cleveland to make sure they weren’t stealing signs, and was later cleared by MLB following an investigation. There was also the Apple watch incident with the Red Sox two years ago. According to Verducci, teams are now banned from using non-broadcast cameras from foul pole to foul pole in the outfield, and there are tighter restrictions on in-house video. Specifically, dugout and clubhouse monitors will be on an eight-second delay, and a designated official will monitor communication between the video replay room and the dugout. Penalties include loss of draft picks and international bonus money. There are no rules against stealing signs! 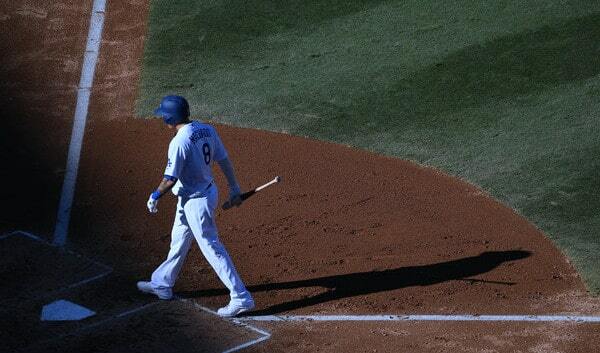 MLB just doesn’t want teams using high-tech gadgets to do it. Given how much technology is in the game today, this was an inevitable and necessary step. The Yankees and Red Sox will both wear their home uniforms during the London Series later this summer, reports Pete Abraham. The Red Sox will be the home team for the two games but the Yankees will be out there in pinstripes. Why? Marketing. Can’t send your marquee franchise overseas in an effort to grow the game and not have them wear their iconic uniform, you know? Imagine sending the Yankees overseas and making them wear their road grays. Good grief. Anyway, the London Series will be played at London Stadium on June 29th and 30th. In addition to all the player movement, MLB and the game of baseball undergo some changes each offseason as well. There have been no significant rule changes yet this winter — those are reportedly weeks away, if any are made at all — but there have been some league-wide developments in recent weeks. Here’s the latest from around MLB. MLB commissioner Rob Manfred and MLBPA executive director Tony Clark both received contract extensions this month. Manfred received a five-year deal and is signed through 2024, the league announced. Clark received a four-year deal and is under contract through 2022, the union says. Also, new Yankee James Paxton was elected to the MLBPA’s eight-player executive subcommittee. The board works with Clark on policy and various issues. Manfred getting a new contract is no surprise. Revenues are higher than ever and the owners are getting a larger piece of the pie each year. They’re happy. As for Clark, there’s been chatter he could be in jeopardy because the MLBPA has conceded so much the last few Collective Bargaining Agreements, but I guess not. He will lead the next round of CBA talks in 2021. For the players’ sake, I hope they get Clark some help, meaning someone actually trained and qualified to lead to a high-profile union. Get ready for more Joe Buck and John Smoltz. MLB and FOX have agreed to a new contract that runs through 2028, the league announced. Scott Soshnick says the seven-year extension is worth at least $5 billion. That’s a 36% annual increase, on average. FOX will receive expanded streaming and highlight rights as part of the deal, otherwise it’s the same old. Saturday games, the All-Star Game, postseason and World Series games … they’ll all still be on FOX networks. As a reminder, these national broadcast deals are split evenly among the 30 teams. So, even though the Yankees appear on national broadcasts more than any other team, they get the same cut as, say, the Padres. Hardly seems fair, but it is what it. 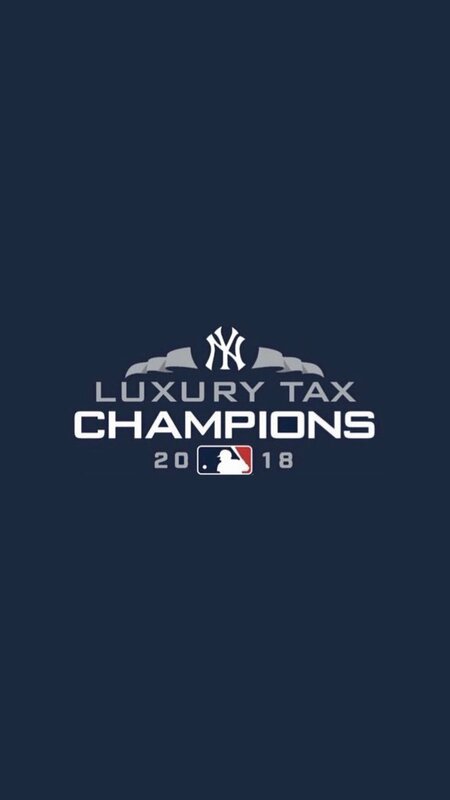 Anyway, the new FOX deal is yet another new and massive revenue stream for the Yankees. Will that lead to a payroll increase? The new Yankee Stadium opened ten years ago now and payroll has gone down since then, so I’m not holding my breath. Those prices are in pounds. Tickets range from about $38M to $500 dollars American. Expensive, yes, which flies in the face of the league’s “we want to grow the game” edict. MLB’s top priority is making money, always and forever, hence the ticket prices. Investing in the future is a secondary concern. Anyway, the London Series games will be played at London Stadium with the orientation you see above. I’m not sure what the dimensions will be. I kinda hope it’s cartoonishly small, like 245 feet down the line or something. Ticket presale is open for season ticket holders now. Presale for registered buyers opens Monday, December 3rd (register here), and general sales open Thursday, December 6th. Remember when Brett Gardner took the field with white cleats three years ago and was given a formal warning? He doesn’t have to worry about that anymore. MLB and the MLBPA announced new relaxed footwear rules. Previously, all on-field footwear had to be the team’s designated shoe color. For real. That was a rule. Now players are free to wear cleats that are black, white, gray, or any color displayed on the team’s uniform. Teams can also approve other colors. “Players welcome the expanded opportunity to express themselves and engage with fans through innovative design. We look forward to seeing their creativity and individuality on the field in 2019,” said Clark in a statement. I’m sure someone somewhere well be aghast at the sight of a Yankee wearing white cleats, but eh, who cares? This gives players a chance to stand out and maybe grab the eyes of a young viewer, and create a new baseball fan. I’m all for anything that promotes creativity and breaks up the monotony of baseball. May 8th: The London games are officially on. MLB announced it this morning. The Yankees and Red Sox will play two games at London Stadium on June 29th and 30th of next season. The BoSox will be the home team for the two games. You can register for pre-sale tickets right here. MLB estimates London Stadium will hold roughly 55,000 fans in a baseball configuration. This is a two-year agreement with another two-game series scheduled to be played in London in 2021, though the teams have not yet been announced. March 19th: According to Ronald Blum, MLB is working to finalize plans for a two-game series between the Yankees and Red Sox in London in June 2019. Joel Sherman hears the Red Sox would likely be the home team for the two games, which means the Yankees won’t lose two home gates. “We would love to participate in a series in London against the Yankees but this is a decision that MLB and the MLBPA will make,” said Red Sox CEO Sam Kennedy to Evan Drellich. 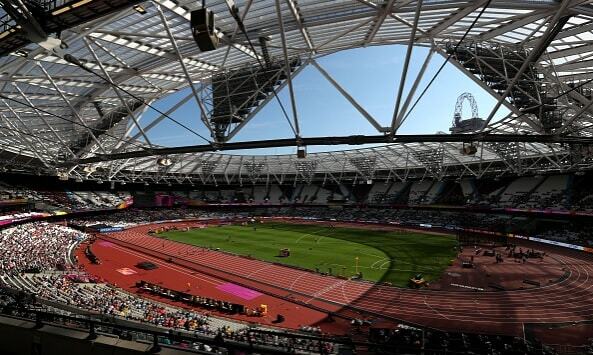 Assuming plans are finalized, the series will be played at London Stadium, which hosted the 2012 Olympics and is currently used for soccer and track and field events. June is the only time the building is available for baseball. An official announcement is expected some time within the next two months. Any time MLB holds an event like this, it’s a good bet the Yankees will be involved because they are the most popular team in the sport. The Yankees will help pump up attendance and generate buzz. Also, players will get a $60,000 bonus for participating in the series per the Collective Bargaining Agreement. 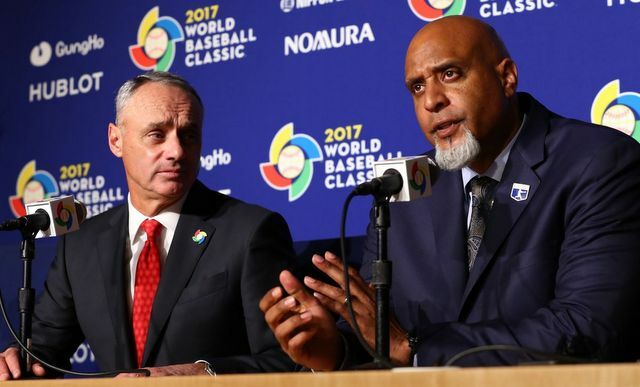 MLB has been working to globalize the game in recent years — they didn’t start the World Baseball Classic out of boredom, you know — and this April the Twins and Indians will play a series in Puerto Rico. MLB tentatively plans to have two teams play their season opener in Tokyo next season.